What’s the right size for a tech company? The news that HP is splitting itself in two (ironically a few years after a previous CEO lost his job for proposing the same idea) made me think about the size and structure of tech companies. Some companies invest in growing rapidly and aim to be biggest in their field, others focus on niches, while a third group aim to be a jack of multiple trades, spanning diverse sectors. HP was previously in the jack of all trades camp, with its fingers in lots of different pies, from enterprise software and services, through servers and networking equipment, to consumer PCs and printers. It will now become two companies, one focused on the enterprise and the other on PCs and printers. Sadly, it ha s missed the chance to name one H and the other P, going instead for the more prosaic Hewlett Packard Enterprise and HP Inc. While the two companies will be smaller, they will still each have over $50bn in revenues, and are likely to be hard to disentangle. At the same time eBay has announced it will divest its PayPal subsidiary, following pressure from shareholders and the entrance of Apple into the payments market. I must admit to being cynical about efforts by many tech titans to refocus themselves – it can look suspiciously like a random throw of the dice that keeps investors happy but has no real long term strategy behind it. After all, the world’s most valuable tech company, Apple provides software, hardware (mobile and desktop) and music and video content, alongside payments, maps and health data. And no-one has yet pressured it to split. However there are definitely optimum size and types of company, depending on the maturity of the market they are in. Emerging sectors, such as the Internet of Things, change fast, so a company needs to be flexible and focused, with the ability to pivot quickly and respond to market conditions. It stands to reason that smaller players will be able to do this faster than legacy behemoths. Mature markets run less on innovation, with much tighter margins. You are selling a replacement piece of software/hardware and any new features are likely to be incremental not transformative. Consequently the bigger you are the greater the economies of scale when dealing with suppliers and customers. The car industry is a perfect example outside the tech industry, where you need to be big to have a chance of profitability. The tech industry is going through a rapid wave of change, driven by the move to the cloud and the rise of mobile devices. Previous shifts (such as from the mainframe to the minicomputer and then the server) have led to market leaders falling by the wayside – does anyone remember the likes of Data General for example? 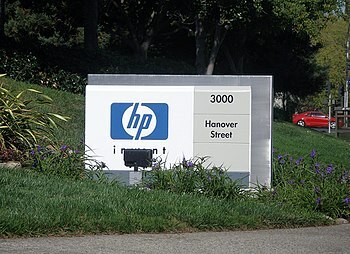 In fact HP has done well to survive so long, with a heritage that dates back to 1939. What will be interesting to see is if can make it to its 80th birthday in 2019, or whether it will be carved into even smaller chunks before then………..